Personalized Scenes of Mexico Calendars in Spanish and English (Bilingual), Custom Printed in Bulk. Very Inexpensive, Promotional. Lowest prices in USA and Canada for Mexican Landscapes calendars. "Early Bird" special! 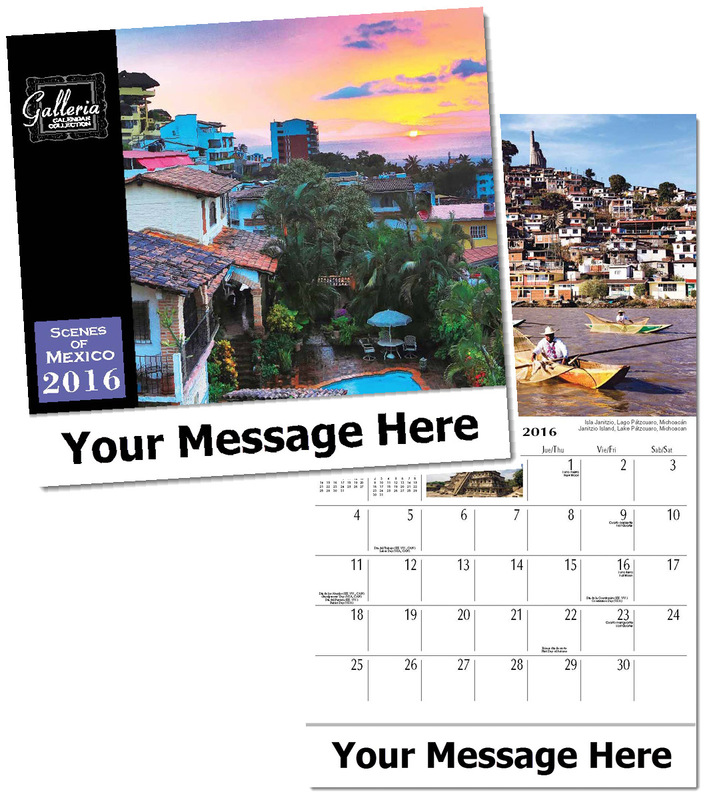 Bulk discount Scenes of Mexico calendars, personalized with your custom imprint . As these 13 striking images attest, Mexico is a diverse land of ancient monuments, rugged mountains, lush foliage, tropical beaches and breath-taking vistas. Include all major US holidays. Best price in USA and Canada for wholesale personalized Scenes of Mexico calendars. See our "Early Bird" deep discounts on our Price Table below. American clients pay no taxes. Free artwork design and free proofs!